Somewhere between the 1980s and today, the use of a horn section in a rock band fell out of favor. I’m not sure how or when, but we went from awesome sax solos and trumpets in songs like “Urgent” from Foreigner, “Who Can It Be Now?” from Men at Work, and Huey Lewis and the News when they toured with the horns of the Tower of Power. Sure there are a few groups like the Dave Matthews Band who still use a trumpet or sax now and then, but it’s not quite as integrated into the whole rock experience as it used to be. Now bring in Frank Viele and the Manhattan Project (from where else, but the New York City metropolitan area) – a six piece group featuring Viele on vocals as well as acoustic and electric guitars, Mario Capdiferro on drums, Rob Liptrot on bass and backing vocals, Eddie Arjun Peters on lead guitar, Pasquale Ianelli playing tenor, soprano, and baritone saxophones, and Andrew Mericle on trumpet. Add to that mix Richie Cannata playing sax (from Billy Joel’s band) on “Turn Around,” Jason Hirth on keyboards on six tracks, and Ben Golder-Novick helping on the alto sax on six tracks… and where having a strong horn sound can sometimes overwhelms a band, these guys sound amazingly well together. They’ve been touring together for a few years now and Neon Lights is their first full-length album. It doesn’t disappoint, crossing multiple genres (funk, rock, pop, jazz, blues, and swing) on nine great tracks. Like most great bands who write their own songs, the lyrics for “Neon Lights” tell a story as well. A modern tale of wanting the best for an ex- with drug and alcohol problems… “Then my hip starts buzzing, you’re on the telephone / But Honey you know they’re wrong and that you don’t want to stay…” It’s not quite a plea for her to come back (after all, in the first verse they say she “ain’t coming home”), but you can tell he’s worried. Another great track is “Portland Rain” which has some awesome horn riffs that remind me of some of the great R&B groups of the ’60s and ’70s. It’s a throwback to an earlier time with a guitar solo tearing up a chunk of the song as well. And so you don’t think it’s all R&B and rock, their song “Try” sounds very much like something you might hear from Dave Matthews. The syncopated rhythms on an acoustic guitar mixed with Viele’s voice talking straight to a girl he wants to get to know better… “Yeah but Baby, there ain’t enough wine in me to tell you that God is on your side / And there ain’t no holy roller that’s gonna bring you peace tonight / … / But if you leet me be your lover, I will bring you peace tonight…” It’s a heck of a pick-up line to play from the stage, but it just might work! My only complaint with this album isn’t with the musicians, but with Viele’s voice at times. Every now and then it was so gravelly or growly that it was nearly impossible to tell what he was singing. But most of the time when he wasn’t going that far, he sounded great and was backed up by his amazing guitars and horn players. If you’re looking for something different with some sensational horns and guitars and a funky modern feel, give Frank and the boys a listen. 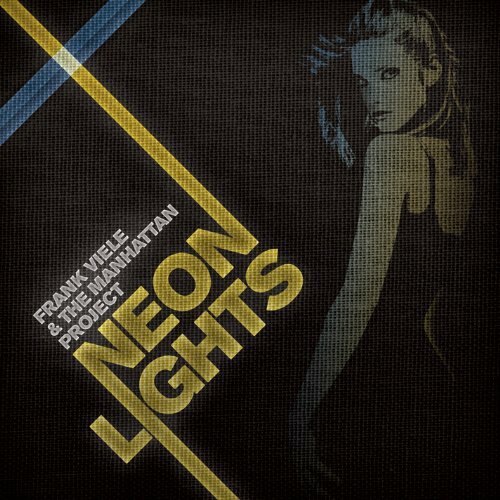 Look for Neon Lights at your favorite music online or brick-and-mortar retailer when it’s available July 13, 2010. And check out their website at FrankVieleMusic.com for a list of tour dates and more information about the band! Previous Previous post: Mortal Kombat Reboot?